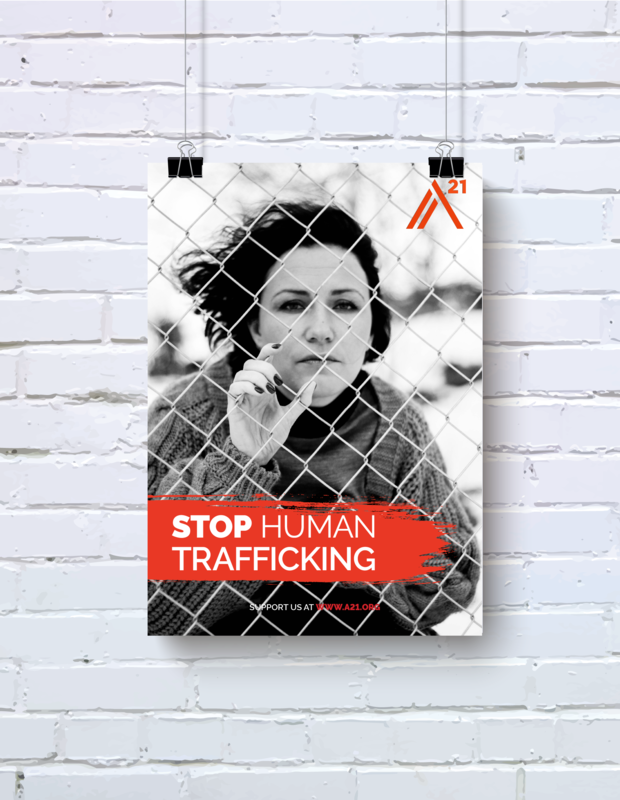 For this assignment we were to create a campaign poster for the organization A21, an organization that is working to end slavery. The concept I have developed is a poster where the photo is the main thing, a photo that expresses a lot of emotions and gives a nice connection to being trapped and having your freedom taken away. The image tells a story, and I have added few other details, as I want the photo to be in focus. 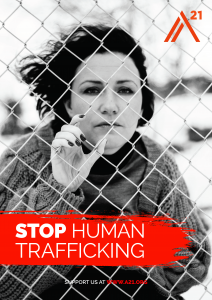 With this poster I want to awoke people´s emotions, by using an average looking Norwegian woman as my model, makes it easier for people to relate to her. Placing her behind a fence to convey the fact that she has been robbed of her freedom. The look in the models eyes really says a lot. The poster size is A2.